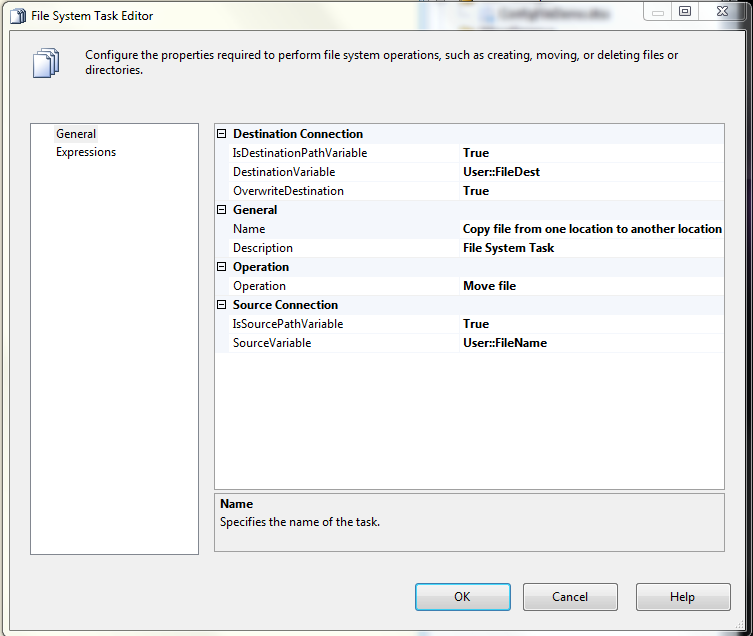 4) Then open File System task editor and configure it. For this, make both source and destination paths as variables and set destination variable as dest path and source variable as source path. I’ve chosen to overwrite destination if file exists. 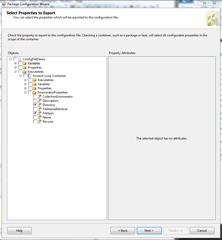 Now final step is to create configuration file and make our SSIS package use it. 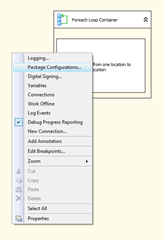 5) Right click on empty “Control Flow” space and select “Package Configurations”. 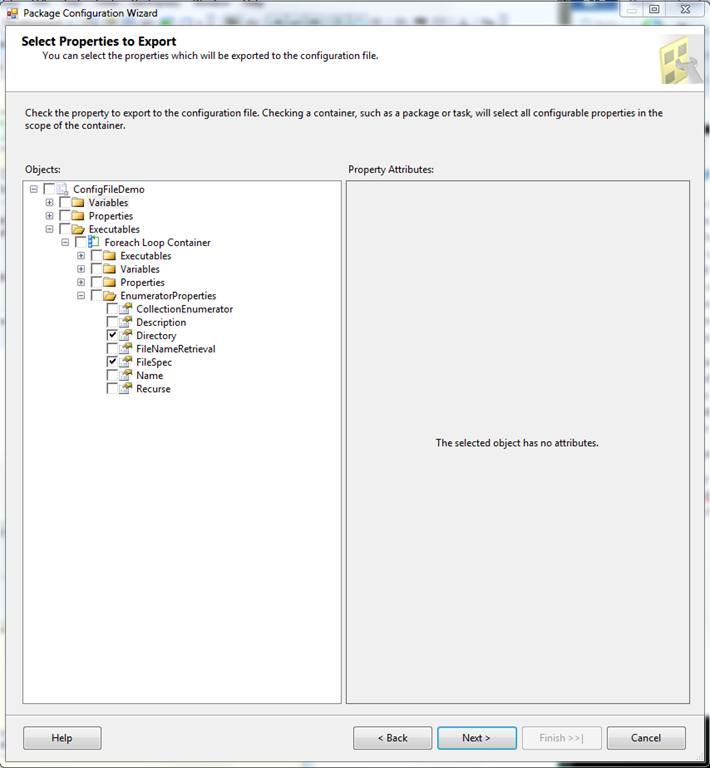 This will open up “Package Configurations Organizer”. 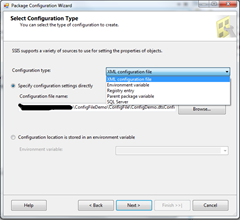 Enable package configurations and “ADD” to create new package. 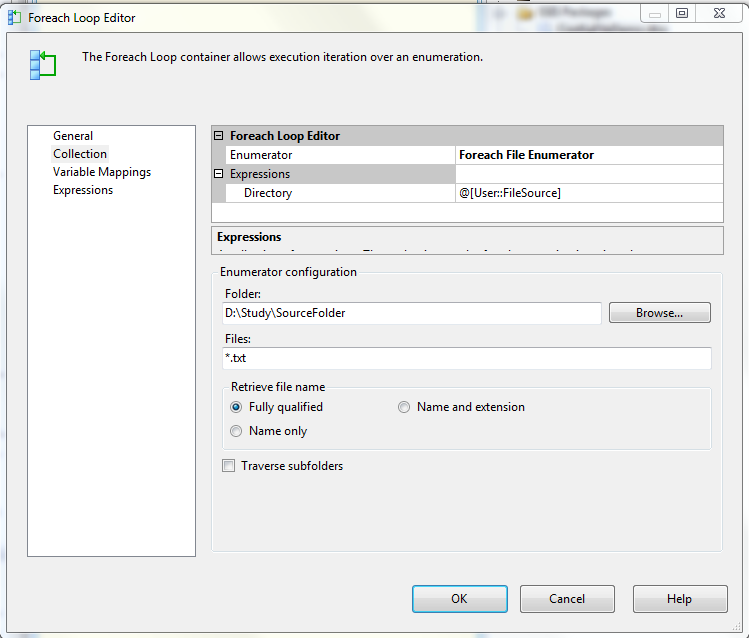 Here we have actually some really neat options to save configurations (e.g. in registry, or in environment variables) etc. 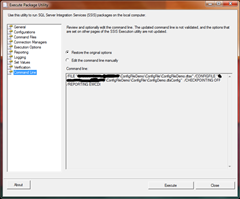 I’ve selected XML configuration file option. 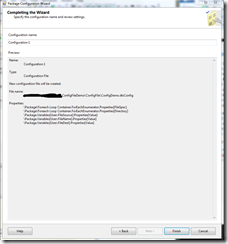 And select where you want to create that configuration file. 6) Next step will be select which variables to export. 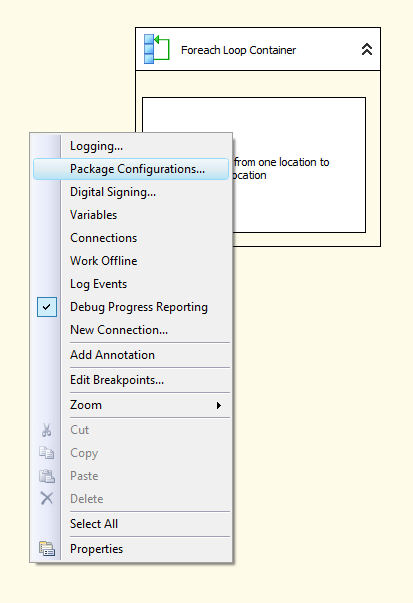 This screen actually shows all possible variable that can be used to configure package. 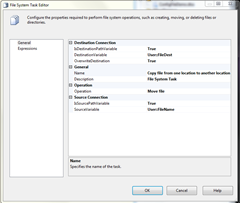 Including all user created variables, various task options, different connections etc. 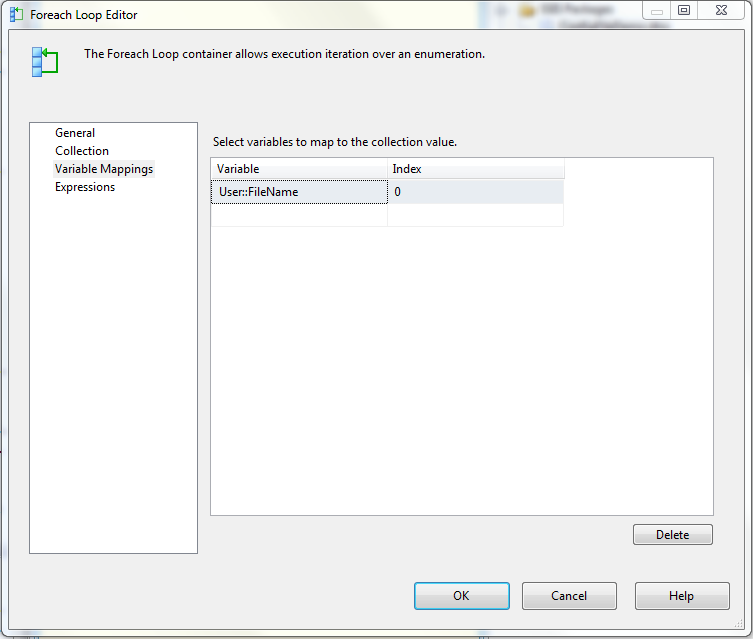 Here, I’ve selected options like variable value (which is source and dest path defined in variables) and from Forearch Loop container –> Enumerator Properties –> Directory and FileSpec for source path and file type. 7) Last step will be to save configuration and that is it. Interesting thing is visually there is no way to tell that package is using any kind of configuration file. 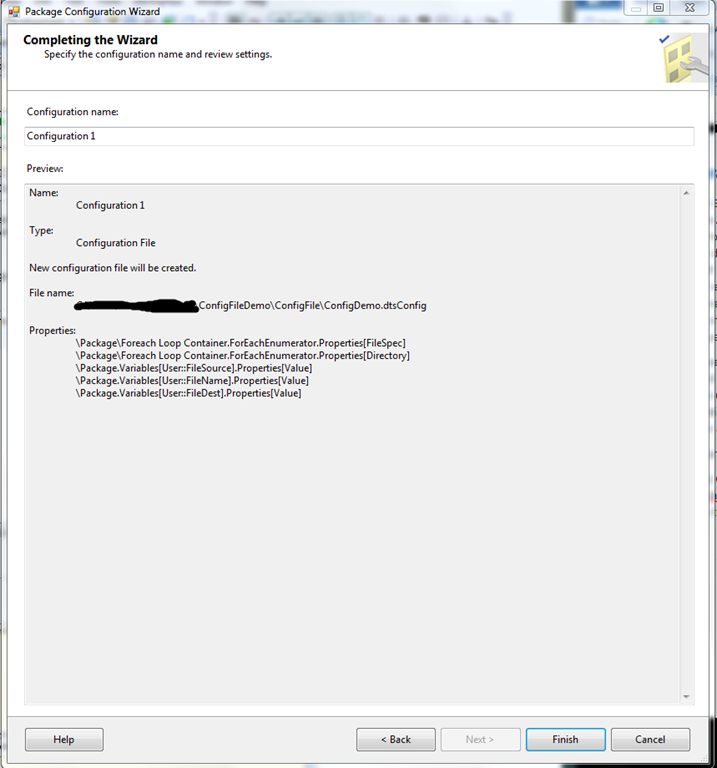 I mean the configuration file is not even included into project. 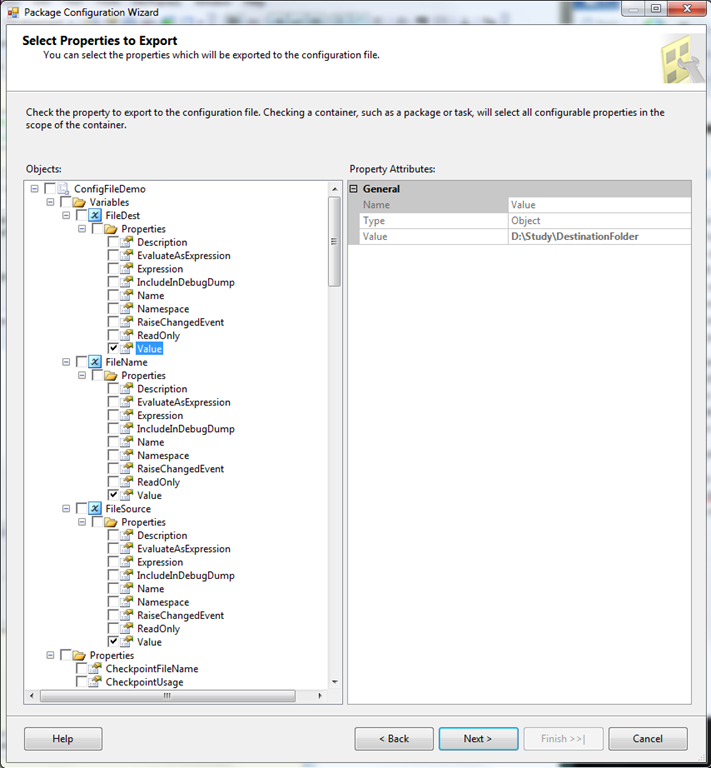 So you will only see that file when you right click on empty control flow space and click on “Package Configurations” !! 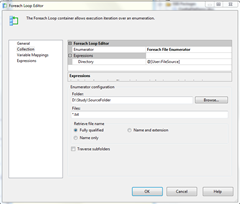 Good thing about configuration file is, once created it can be edited without opening SSIS solution because it is not included in package itself, and it is just XML formatted file. 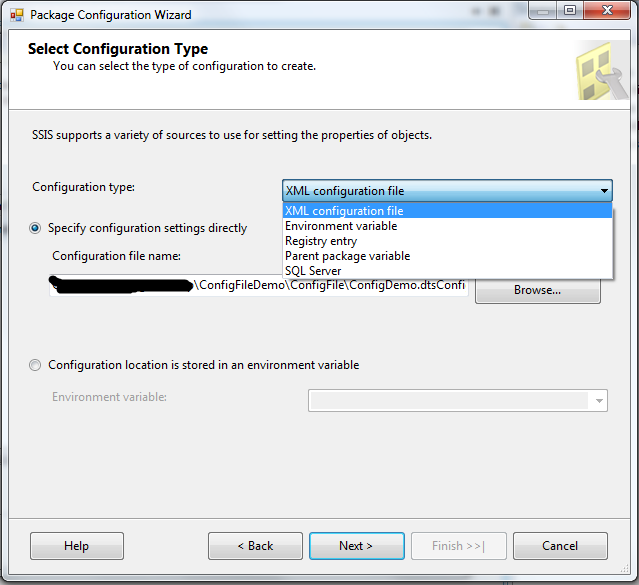 Also if you are very good with SSIS configuration then you can even create configuration file without package itself !! 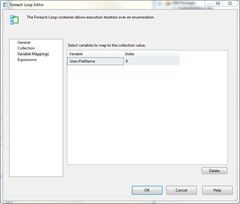 Once package is created it can be used with SSIS package at execution time to make package use that configuration file settings. 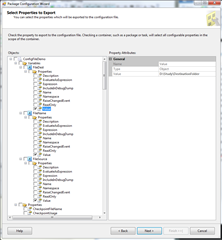 Just like this, we can create configuration file for any SSIS package and make it more flexible to operate / use. 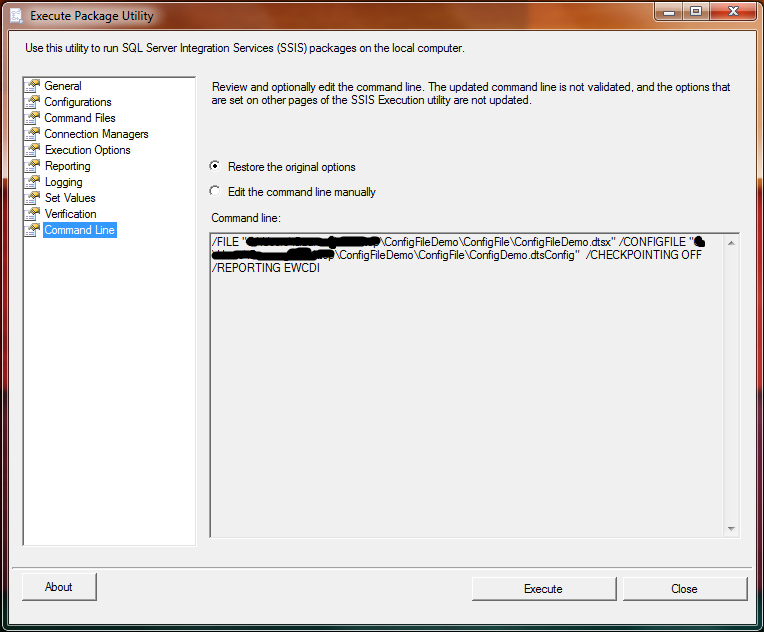 This entry was posted by Gaurang on December 23, 2011 at 10:25 pm, and is filed under How To, SSIS. Follow any responses to this post through RSS 2.0. You can leave a response or trackback from your own site.